Artists are creative people. But in today’s crowded market where anyone can call themselves an artist, you have to try and cut through the noise. Creating beautiful works of art is no longer enough, you have to adapt yourself from being creator and maker to being a marketer and sales person. This means that you are in charge of your own promotion online and off line, you are doing your own admin and books and you are constantly looking for new opportunities to show your work. The actual art creation is becoming a smaller and smaller part of what you do. The good news is that with so many online platforms today, you can be in charge of your own promotion and you no longer depend on ‘brick and mortar’ galleries to showcase your art. You can add your work to multiple galleries and wait for the sales to happen. However, things are not that simple. The questions are: how do you get seen and what ‘ingredients’ are needed for people to buy your art? 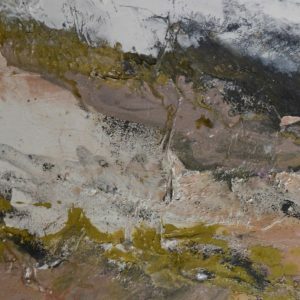 I’m an artist, tutor and director of the online art gallery Art2Arts, so I see artists adding new work daily. 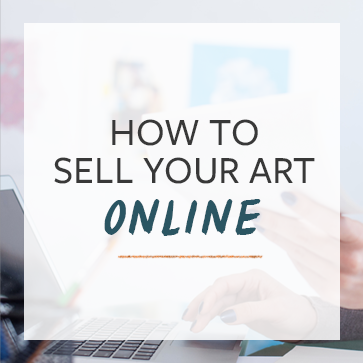 What I wanted to share with you today are some of the key ingredients to selling your artwork online. 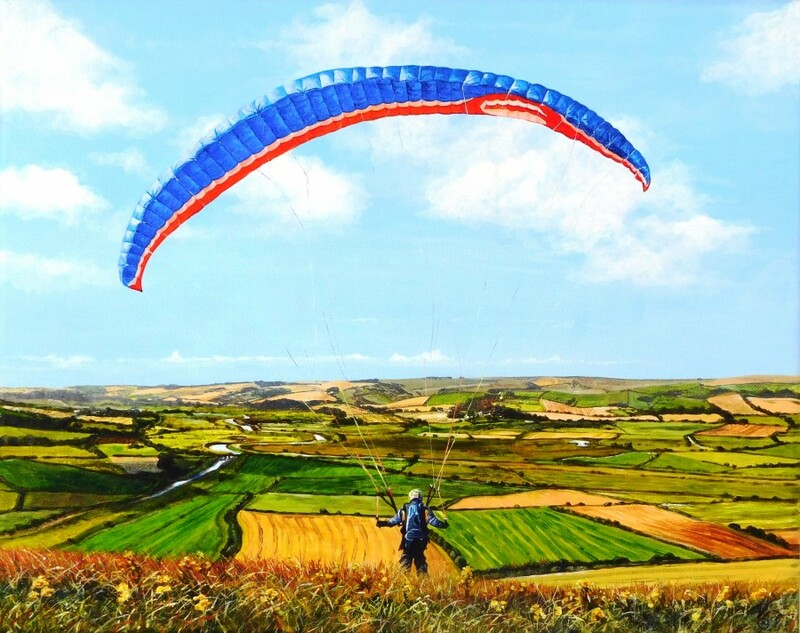 Don’t just write ‘original artwork on canvas’ – this doesn’t sell the work. You need to be descriptive and tell a story. Talk about the work, what inspired you, how you created your work, colours you may have used and on top of it, you need to sound inspiring and excited about the work you spent so many hours creating. Get people interested in the story of your artwork as there may be something they might relate to. Have you painted a place you have visited? Tell the story of what inspired you to paint it so people may purchase the artwork as a reminder of a place they have fond memories of. The same goes for favourite flowers, favourite animals or even colour combinations. The artist is creating an atmosphere and a sense of being there. She is also using good keywords that people may be searching for. 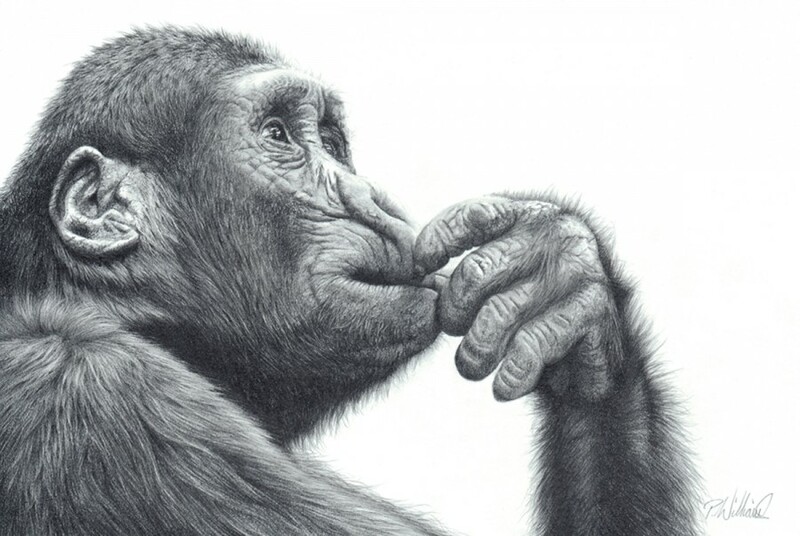 The artist has included a lot of details not only about the drawing but how it is presented and what you expect to receive with the artwork. How about abstract art? The same rule applies here, as abstract art could be inspired by anything: from places and flowers to feelings and emotions as well as other forms of art like music for example, or it could be more about the process of creating the work, the spontaneity and how you let the paint take control. 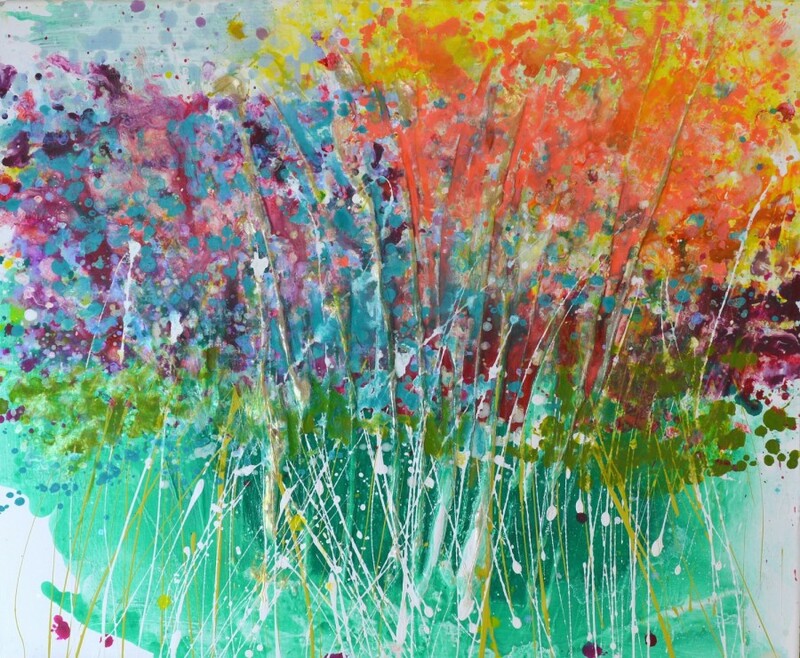 “New: this is a brand-new series of large abstracts inspired by flowers and gardens. Abstract expressionist artworks on 100% cotton canvas stretched over a wooden frame. No extra framing is required and the painting is ready to hang as soon as you unpack it. Here not only does the artist explain her inspiration but the title and a little about her process. You understand fully what to expect when you receive the artwork including hanging. There are a lot of keywords in the description ‘flowers’, ‘gardens’, ‘abstract’, ‘summer’ and so forth. This is a really well-thought-out presentation of words. Just one image isn’t enough to really show the work; I would suggest a front cropped image, some close ups, side images and one in-situ. Ensure images are clear and as colour-accurate as possible. The front image captures the artwork as a whole so people can see what it looks like. But as they can’t actually ‘see’ the artwork in the flesh, the close-ups will show texture, colour and details from your artwork. As such they will have a clearer idea not only of what it looks like, but of your artistic skills as well. 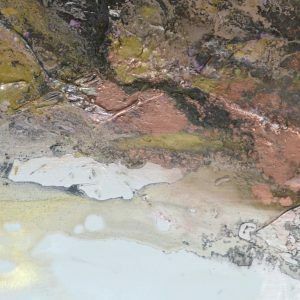 Seeing the brushstrokes up close or any other media that you may have incorporated, they will appreciate your technique even more and will get a feel of how much effort you actually put into creating your artwork. You can also include a work-in-progress image so it will have an authentic feel to it. It may also be a good idea to add in-situ images and these could be anything from the artwork on the easel in your studio to how it looks like in a home décor setting. 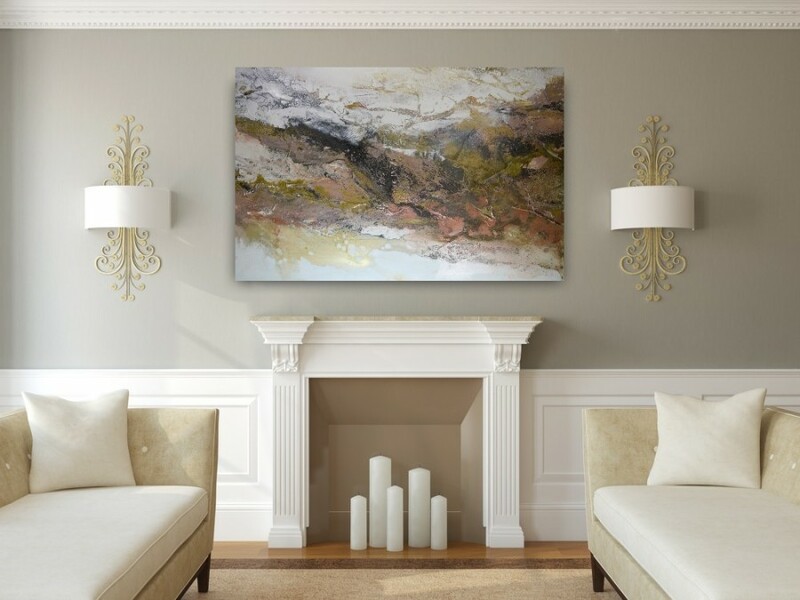 Not everybody can imagine what an artwork will look like on the wall, so adding such a picture will help them visualise the painting in their own home. When you set up your profile online, make sure you complete the ‘About Me’ section as well. Here you have the chance to talk in more detail about your inspiration, your media of choice, your successes as an artist as well as something more about you, like other hobbies, interests and pass time activities. People need to get to know the person behind the paintings so they have the feeling they ‘talk’ to a real human. One thing that I would suggest is to write about you in the first person. You can include third person paragraphs as well if these are written by someone who knows you and your art like an art critic, a gallery owner or an exhibition organiser. Writing in first person makes it more personal as though you are speaking to your prospective buyer. Add feedback from the customers as well so you’ll add credibility to your profile. You want to be perceived as authentic, trustworthy and skilful and it is entirely up to you to sell yourself and your art to the world. Don’t forget social media. I know from experience that artists prefer to create and not to talk about themselves but sharing your work on social media could be another ‘ingredient’ needed to sell your work. Again, not just images sell, but words too so try to talk to your audience and be engaging. This may come easier than you think as you don’t have to talk in person. Be friendly and approachable in your tone and invite people to comment and ask questions. I hope you’ll find these tips useful and please let us know- what do you do to sell your art with words?